(Newser) – Students at Georgetown University may soon see a new $27.20 fee pop up on their bill each semester, and it's one they voted to add. 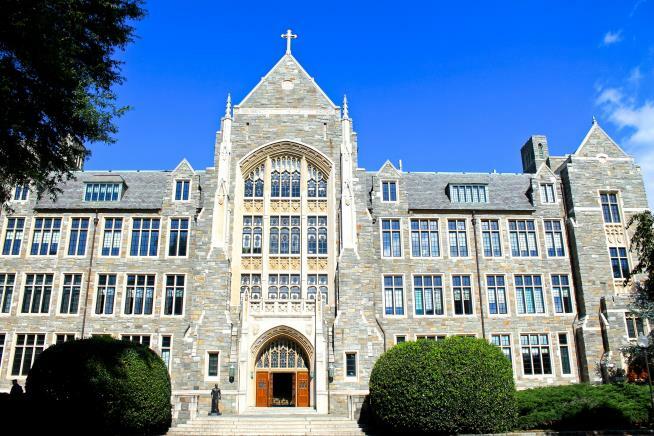 ABC News reports that undergrads at the Jesuit college voted Thursday, by an almost 2-to-1 margin, to approve a referendum that would mandate the fee, which would benefit descendants of slaves that Georgetown sold in 1838 to fend off financial ruin. CNN notes that the collected fees would amount to about $400,000 annually and, per the bill, would "be allocated for charitable purposes directly benefiting the descendants ... and other persons once enslaved by the Maryland Jesuits." The referendum isn't binding, however, and would still need to get the OK from the university's board of trustees. No way in hell students should pay a dime regardless if they voted. If the institution wants to do it the funds should be solely on them not an increase in tuition. Too bad the young are so easily manipulated. A hundred years from now people will (hopefully) look back on abortion as a horrible crime and find it difficult to understand how it was an accepted practice. Unfortunately there won't be any descendants to pay reparations to. Not very magnanimous for privileged college students. The amount should be $272.00 unless there was a decimal point in one of the slaves they sold.